The next six months, from Pearl Harbor to the Battle of Midway - a dark time during which the Japanese scored victory after victory - this small band of aviators saw almost constant deployment, intense carrier combat, and fearsome casualties. Many were killed by enemy Zero fighters, antiaircraft fire, or deadly crash landings in the Pacific, while others were captured and spent years in POW camps. 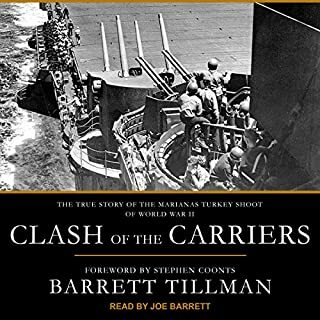 Yet the Enterprise's Dauntless crews would be the first to strike an offensive blow against Japanese installations in the Marshall Islands, would be the first to sink a Japanese warship, and would shepherd the Doolittle Raiders' bombing of Tokyo. 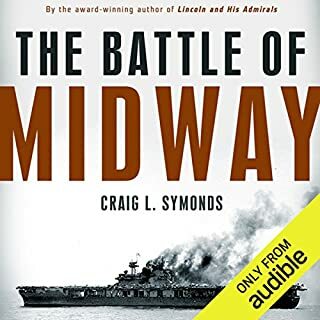 Not until Midway, though, would Dauntless crews get the chance to settle the score. 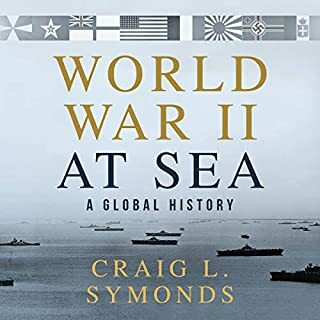 In June 1942, Japan mobilized the best of its Navy to draw out the smaller American carrier fleet for a final showdown designed to destroy the U.S. Navy once and for all. 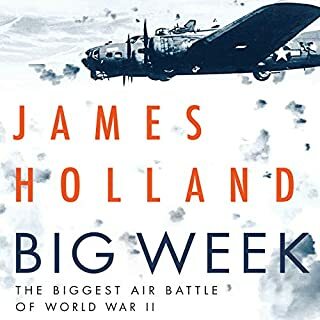 What they didn't anticipate was the gutsy dive-bombing pilots and gunners whose courage and skill would change the course of World War II. Drawing on dozens of new interviews and oral histories, author Stephen L. Moore brings to life inspiring stories of individual sacrifice and bravery - and the sweeping saga of one of America's greatest triumphs. What made the experience of listening to Pacific Payback the most enjoyable? 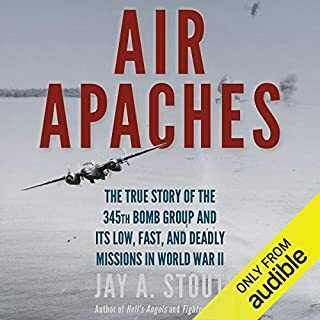 A well researched account of the aviators who became the tip of the spear for the revenge of Pearl Harbor. 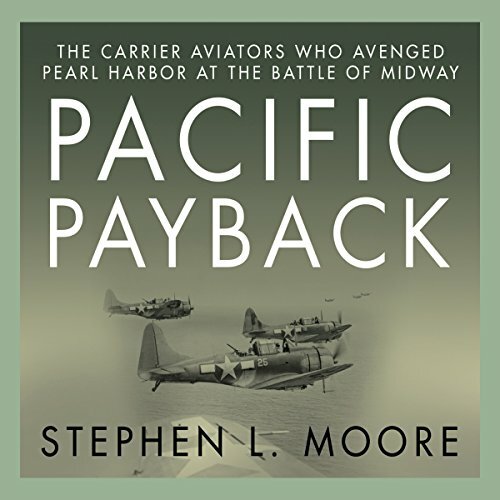 This book takes you along each piloted mission following the surprise Japanese attack to the Battle of Midway. Want to know every detail and conversation these aviators experienced? It's all here! If you could sum up Pacific Payback in three words, what would they be? What was one of the most memorable moments of Pacific Payback? Great narration, easy to listen to, hard to stop. Stunning story, wonderful bios of the sailors and their stories. Would you try another book from Stephen L. Moore and/or Don Hagen? Depends on topic but probably not. I found that the author seemed to repeat passages or overuse an adjective several times in a short span and this detracted from the performance. Historical, so no surprises. Drove the point home as to what a task the allies had ahead of them. Would you be willing to try another one of Don Hagen’s performances? No. I found the narrator ill-matched to the substance of the book, however. The voice is pleasant but lacked the emotion that went along with the adrenaline and terror of battle. Very matter-of-fact. I might suggest reading this book versus listening. Could you see Pacific Payback being made into a movie or a TV series? Who should the stars be? The book contained a number of very interesting accounts of the 1942 Pacific battles. It outlined how ill-prepared the US was from the perspective of the Navy and the pilots. Very detailed bordering at times on tedious. Recitation of lists of names tiring. Confusion in use of USN nomenclature. "Naval Aviator" instead of combat air crewman for enlisted radio operators/gunners for example. Would have benefited by an edit by a Navy pilot and/or a combat air crewman. 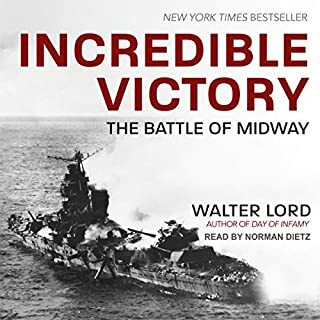 But a good read for a detailed report on the valiant aircrew who gave their all at Midway. I thoroughly enjoyed this book. It is a great tribute to the Dauntless crews of the first 6 months of the war. The Pacific Theater of WWII is my favorite history read. Of course, the story never changes, but the efforts of the authors to research and interview adds details and different perspectives of various actions. I was happy to listen to the audiobook as I read the print copy given me. I found a few issues with the narration as some paragraphs were omitted and a few errors made with numbers. Also the audio gave Nimitz the position in prewar Hawaii rather than Kimmel. That's a rather large error. The writer did so well, though, giving details I was unaware about the carrier planes. I always enjoy learning more. This author had access to diaries of the servicemen and interviews of them and their families. Future authors will not have such opportunities for interviews as the Greatest Generation are nearly all gone from this Earth to a greater place. I was privileged to have been born 2 years after Pearl and named after "Dugout Doug "McArthur.